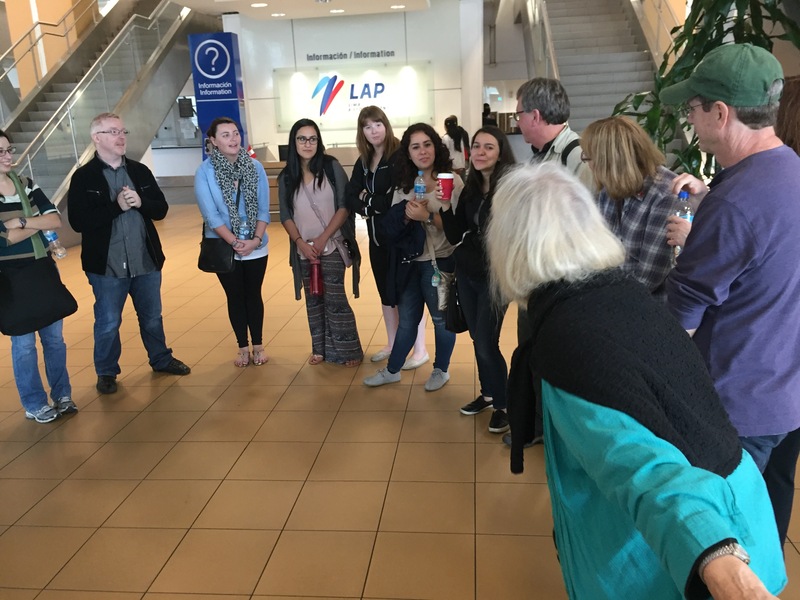 As most of our Women’s Global Connection/UIW immersion trip travelers were leaving to come home from Peru, Sr. Martha Ann Kirk stayed behind and was gearing up for one of her (and our!) favorite things: educating others about how societies thrive when they focus on promoting women’s rights, education, and peacemaking. About 70 people attended the event at Lima’s Universidad Inca Garcilaso de la Vega, including local citizens, students, faculty and Turkish people. The story of how Martha Ann was tapped for the presentation is an interesting story of collaboration and teamwork. 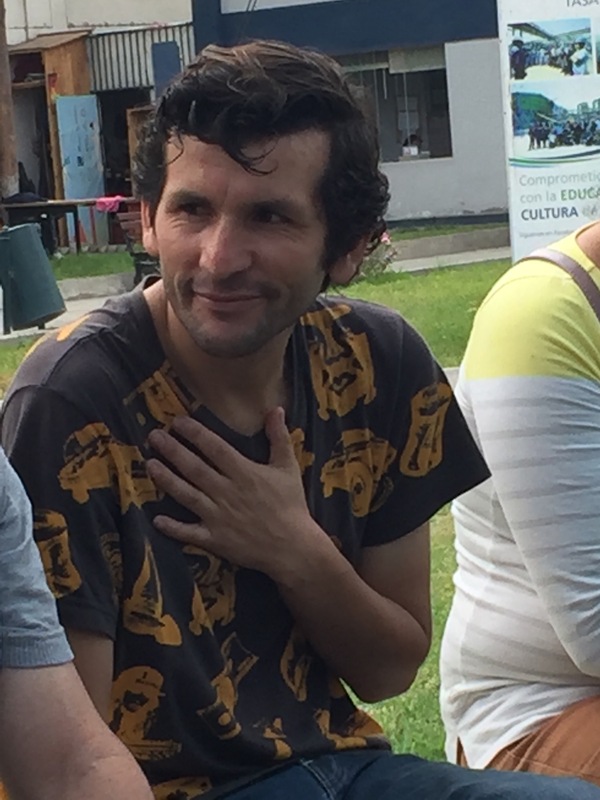 Imam Beytullah Cholak of the San Antonio branch of the Dialogue Institute of the Southwest (DIS) informed the Inca Dialogue Society in Lima that Martha Ann, a member of the DIS advisory board would be on an immersion trip in the region this month. 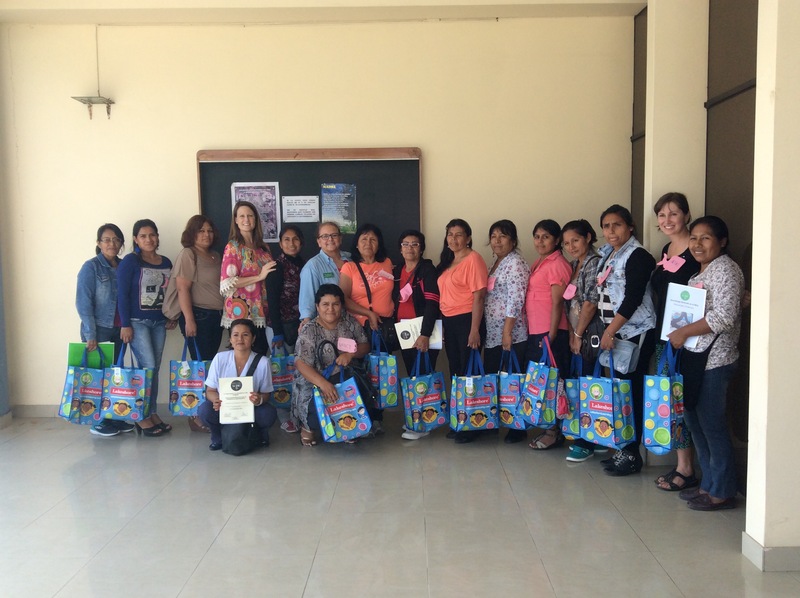 Kadir Keskin of the DIS collaborated with CCVI Sr. Katty Huanaco, the Director of the Incarnate Word Sisters International Justice, Peace, and Integrity of Creation Office, to organize a program. The event also included Laura Vargas, the executive secretary of the Interreligious Council of Peru, a part of International Religions for Peace. Sponsoring organizations included Asociación de Amistad Perú Turquia, the Gulen Institute, Inca Sociedad de Diálogo, Peace Islands Institute, and Universidad Inca Garcilaso de la Vega. As usual, Martha Ann is a diplomat for peace wherever she goes! Incarnate Word Associate member, Martha Zea, Sr. Martha Ann, and Laura Vargas, executive secretary of Religions for Peace in Peru. Martha Ann is the author of the book “Iraqi Women of Three Generations: Challenges, Education, and Hopes for Peace.” She has found discrimination against women to be entrenched there, but has been inspired by the Hizmet education movement as a counter to such ignorance. She explained that young women educated in the Hizmet schools have self-confidence and leadership skills. They also have learned dialogue, forgiveness, reconciliation, and social responsibility. 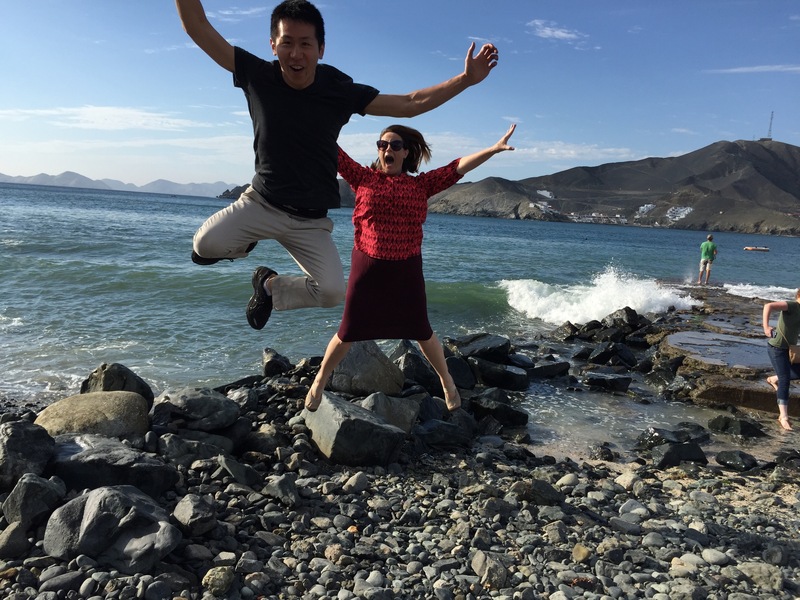 It’s been almost four months since the newest Incarnate Word Missionaries first arrived in Chimbote, Peru, after their period of prayer and orientation in San Antonio. Lisa Uribe and Nicole Foy of WGC — an implementing partner of the CCVI missionary program — along with Sr. Martha Ann Kirk and UIW faculty, students and staff, have all been blissfully reunited with the three missionaries during our immersion trip! We wanted to take the opportunity to update everyone on these amazing young women and their service here amid some of the poorest areas of the Ancash region of Peru. 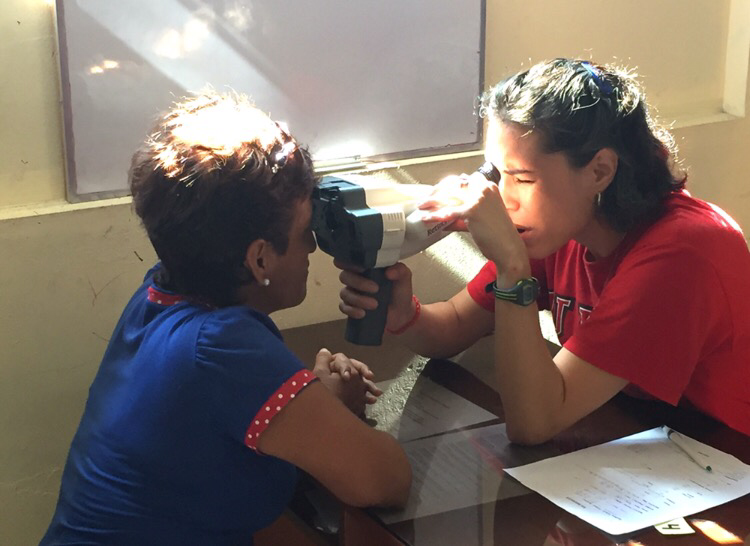 Kristen Amaro serving during an eye clinic held by the UIW Rosenberg School of Optometry in Cambio Puente this weekend. Yvonne Moynihan, from Cork, Ireland, has spent the last three months working in the I.E. Pedro Pablo AtusparÍa primary/secondary school headed by Sr. Hirayda Blacido Enríquez, the first CCVI Peruvian sister. Yvonne has identified a need for learning support among 1st, 2nd, and 3rd grade primary students and is presently tutoring these children. She works closely with the school psychologist in designing lessons and interventions that best suit each child. Despite the tireless work of the part-time psychologist, Yvonne says, there is currently no comprehensive support system to help these children catch up on their studies. Children struggling in class are often dealing with poor stimulation in early childhood or with learning difficulties such as dyslexia. Others might have behavioral issues due to past or ongoing abuses in the home. Yvonne has noticed that teachers often feel at a loss when these abuses come to light or emerge in inappropriate ways within the classroom, since there is no effective overall reporting system to marshall protective services for children. Yvonne’s primary school work is in the mornings and in the afternoons, she enjoys leading an English Conversation class for the secondary students. Yvonne, third from standing left, participates in a bingo fundraiser for the Verbo Encarnado system’s hospice center. Kristen has dedicated herself to hospice since her arrival in Chimbote. She works with a community care team that travels to dying patients’ homes to provide palliative care. She’s grown close with her colleagues and said the experience has drawn her close to ideas surrounding dignity and death. Providing home palliative care has been an experience where she has learned about the dynamics of caring for chronically, or terminally ill, patients. Her community team is composed of two nurse technicians, a psychologist, a doctor, and a pastoral collegue. Kristen said it is not just about dealing with the patients, but also about helping their families or caregivers during this difficult process. Having a well-rounded team of providers helps to ensure all aspects of the patient’s life are being taken care of. Death is a concept that she has found great wisdom in, and she said she’s gained a firm understanding of what it means to die with dignity — a basic right we all should have. Even if it’s a simple service of going once a week to bathe a patient, that is a luxury that some do not get afforded during their last days. Kristen said she feels humbled and grateful for the opportunity that the patients give her, to lay hands and truly wash of their feet. 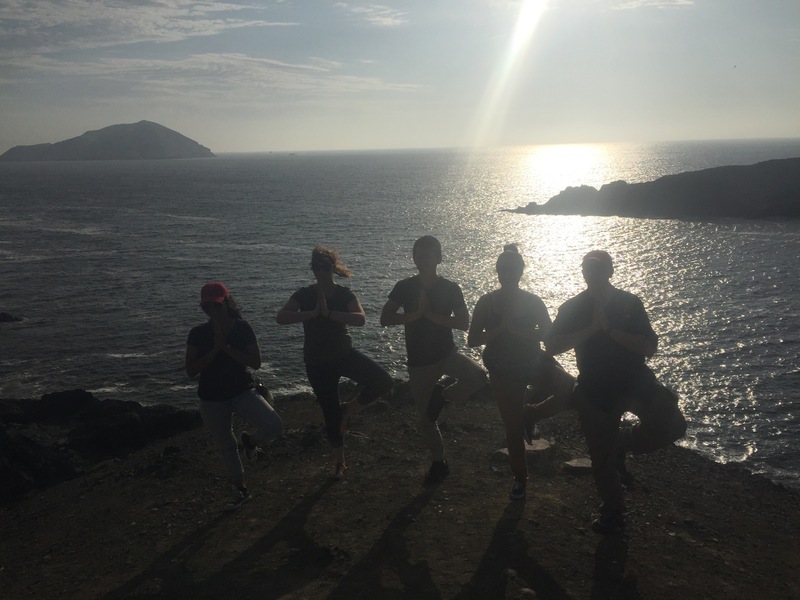 Kristen said that going out in the community has provided a glimpse into the different socioeconomic levels within Chimbote. The hospice was founded mainly for caring for those with little to no resources to support or care for a terminally ill person, but it has also grown to provide these services to those in the community who can afford to pay, which is helpful in sustaining the hospice. There are different cases with varying access to resources. However, each patient is treated the same, with dignity, love, and patience. 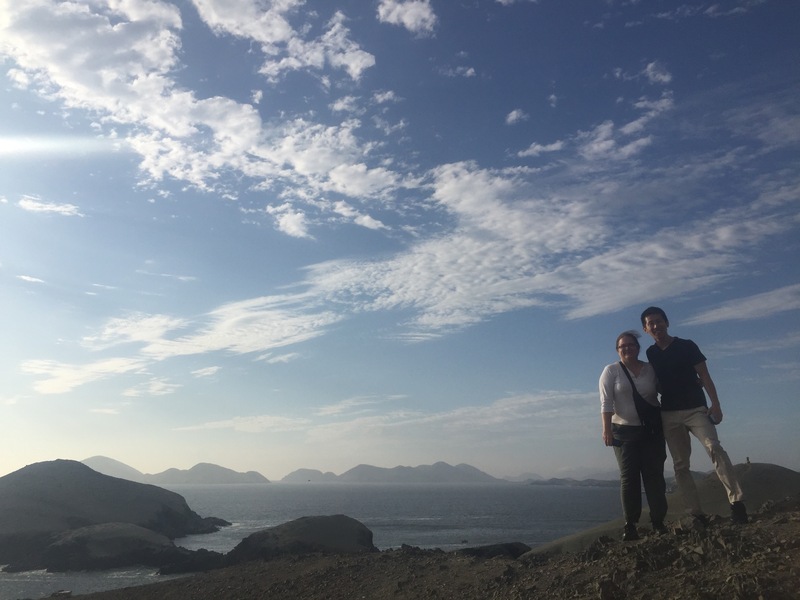 The idea of palliative care in Peru is at the very beginning stages, so part of Kristen’s work also consists of education of what palliative care is and what it is that hospice provides. 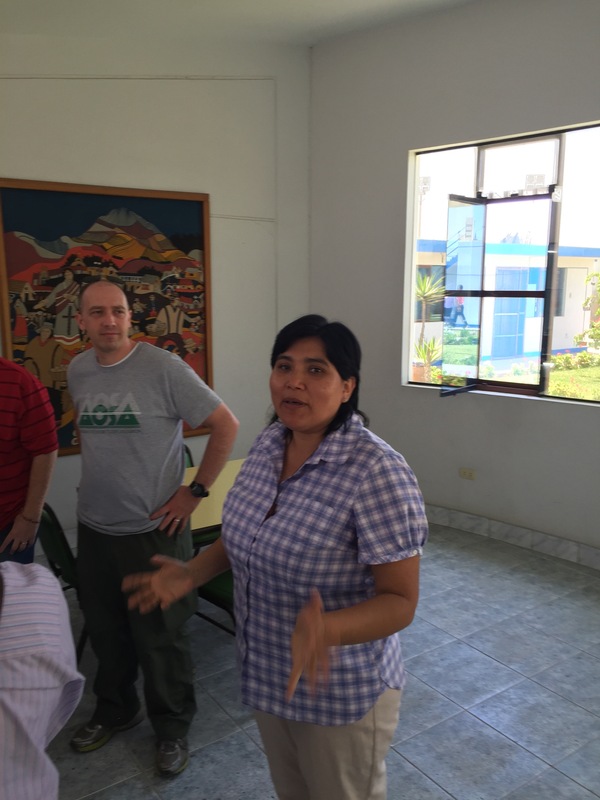 Many citizens in Chimbote still don’t have a concrete idea of what the hospice is for or what its mission is. This had been one of the most important aspects of her learning experience. Nicholena assists with a patient at the weekend eye clinic. 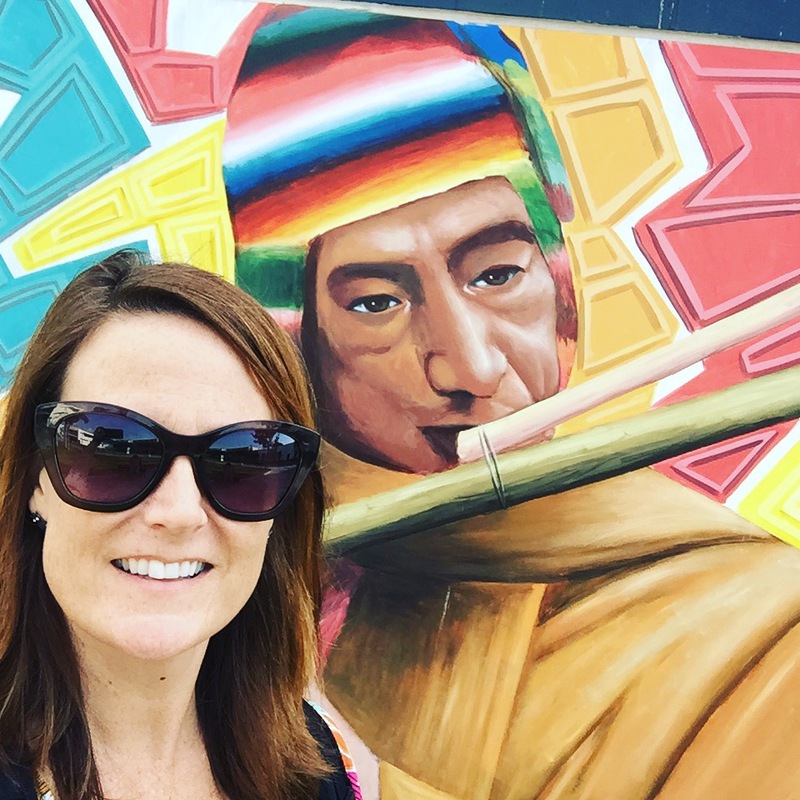 Nicholena is already in her second year of her mission serving with Women’s Global Connection’s projects in Chimbote. Last year, she worked with the Pushaq Warmi (Guiding Women) collective, which is making strides now with their fiber arts projects. 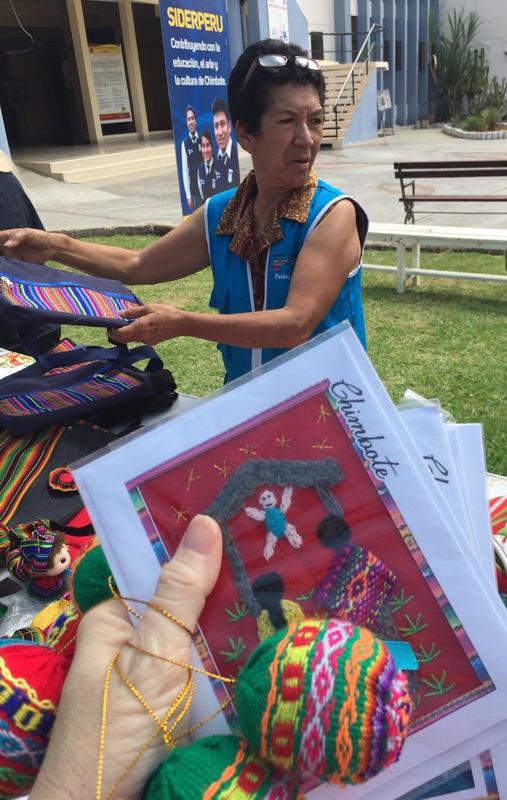 They are partnered with Women’s Global Connection, as well as with Professor Michael Forrest and the UIW H-E-B School of Business, and recently have been focused on improving their product line and scaling their international sales of lovely hand-embroidered Peruvian greeting cards. 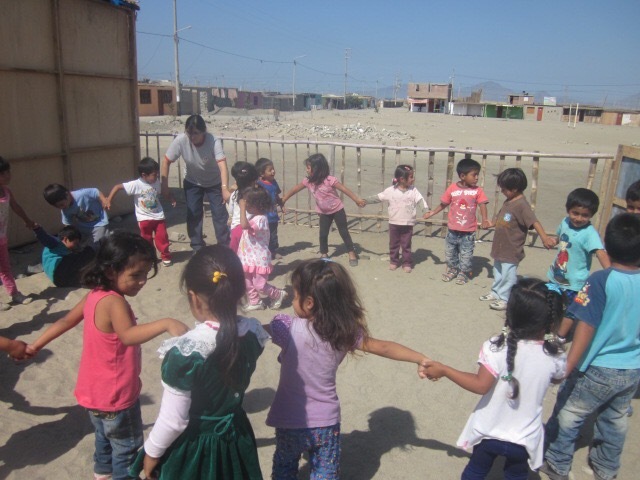 This year, Nicholena is working with Sembrando Infancia, the healthy mother/child program of the Verbo Encarnado (Incarnate Word) health system in Chimbote that is supported by the Christus Foundation. 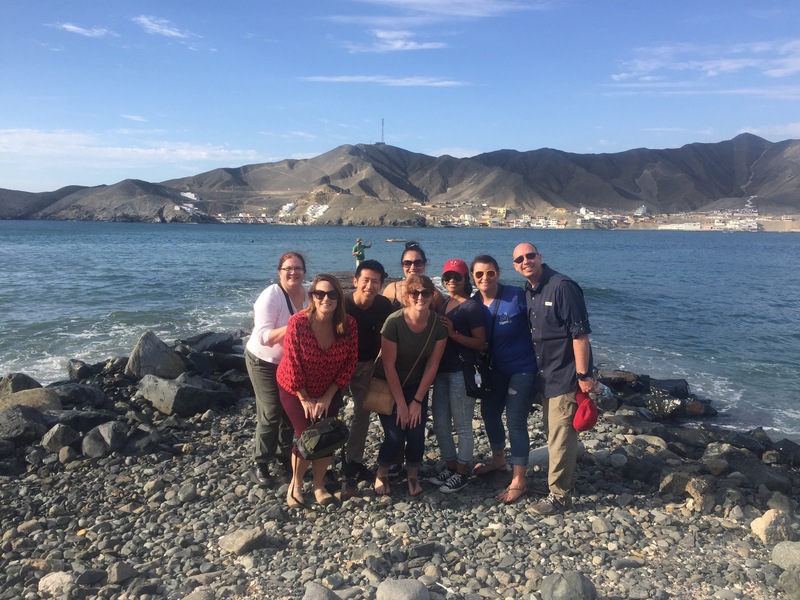 Through WGC, Sembrando also is exploring a collaboration with UIW nutrition students and faculty member Dr. Beth Senne-Duff, who is in Chimbote with the WGC trip for the planning of the project. Sembrando works in some of the poorest areas around Chimbote that are reminiscent of the sprawling colonias along the Texas-Mexico border. Homes there are small and made of thatched sugar cane. They frequently catch fire in an area with no running water, no electricity, and no city services such as fire departments. The results are often tragic and children are at the greatest risk. 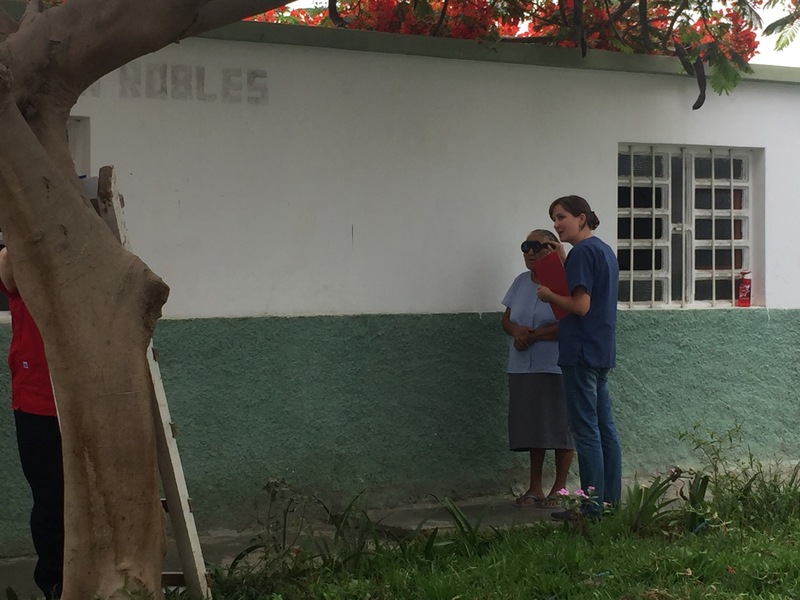 Nicholena provides invaluable support to their various local health and prevention projects and just completed a series of door-to-door parasite checks on children ages 6 months to 5 years. She and the team of health workers arrive for these important annual checks before dawn in people’s homes because parasites are most active in the early morning. On most days, Nicholena helps Sembrando perform height and weight checks for children being evaluated for malnutrition and obesity. She also participates in health fairs and community rallies. Please keep these amazing women in your thoughts and prayers! 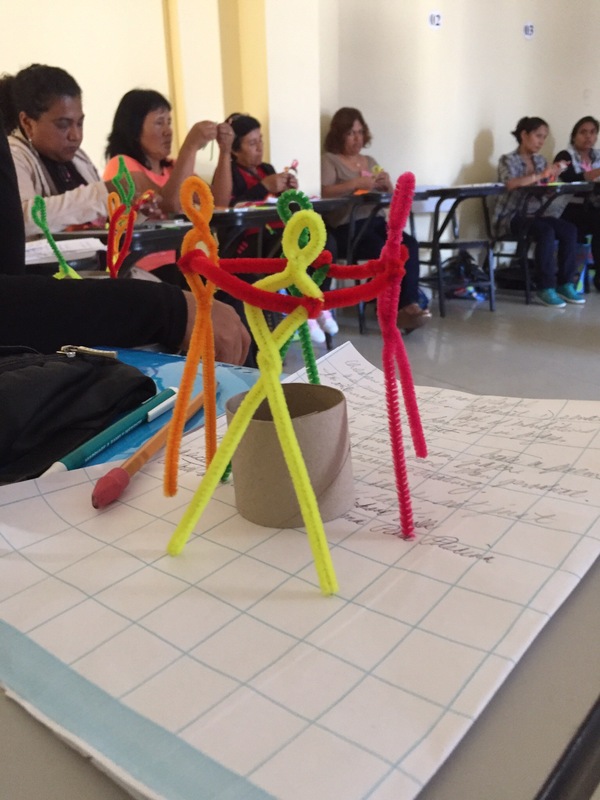 With no workshops to lead or vision clinics to run on a glorious Saturday summer day in Chimbote, our large group delighted in a morning spent learning about and supporting our WGC partner Pushaq Warmi’s fiber arts project. 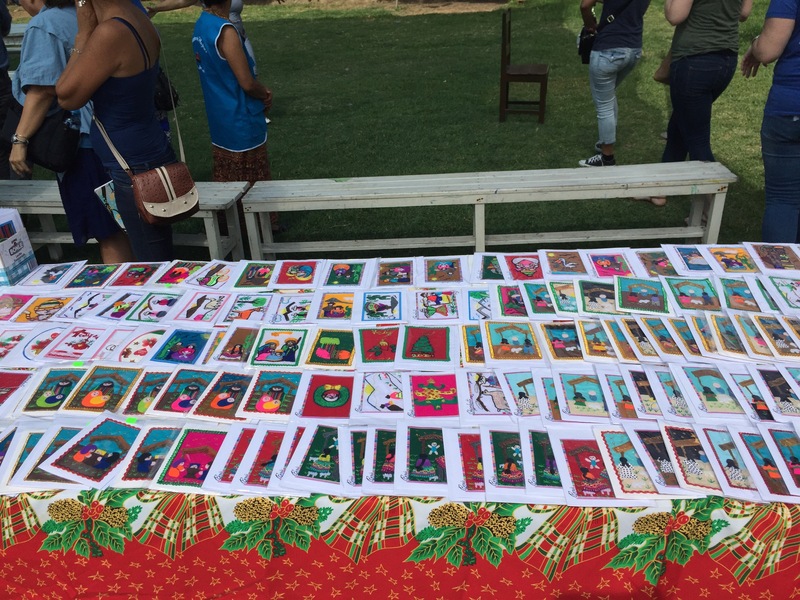 The women, who have been working with WGC and UIW Business faculty and students on how to market and brand their business, set up an outdoor bazaar at the local cultural arts center just for us. 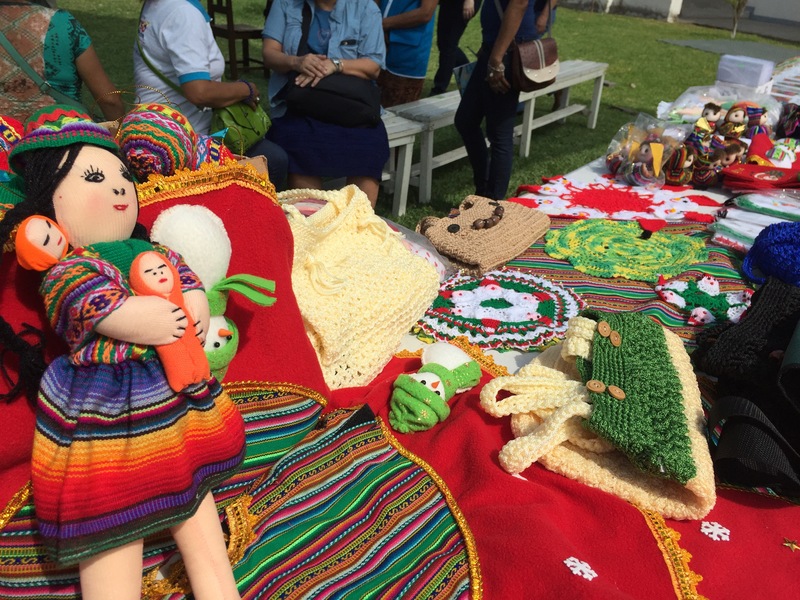 The market featured Peruvian dolls, embroidered greeting cards, holiday ornaments, and more. Christmas shopping…DONE! 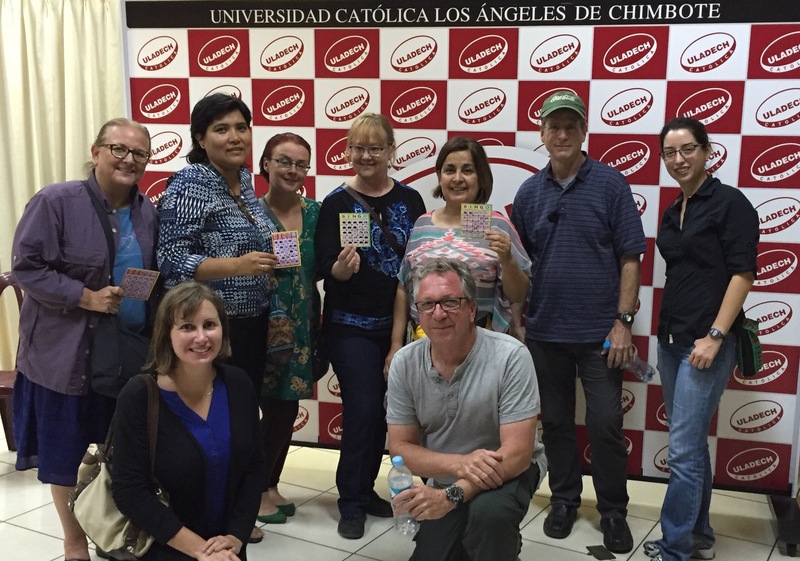 We were also honored to spend time today learning about Chimbote’s struggle to publicly embrace art. The center’s own artist-in-residence Richard Castaneda told us the histories of The beautiful and culturally significant murals he has created all around the sweeping outdoor walls surrounding the building, as well as others he has painted around Chimbote. But his passion for his art form has only recently begun to be shared rather than shunned. Richard has been an artist (he is most known for his street art, pencil portraits and tattoo artistry) in Chimbote for about 15 years. He remembers days when he would be creating intricate chalk murals on city sidewalks and people would pass and shout, “Get a job!” The arts scene has slightly improved since then, but Richard laments that most residents still would rather spend weekends at discotecas instead of music recitals or art shows. Our afternoon was marked by beach play, shopping and a stop at a bingo fundraiser for the hospice program associated with the Verbo Encarnado health system here. Today was the finish to a year long WGC ECE project. 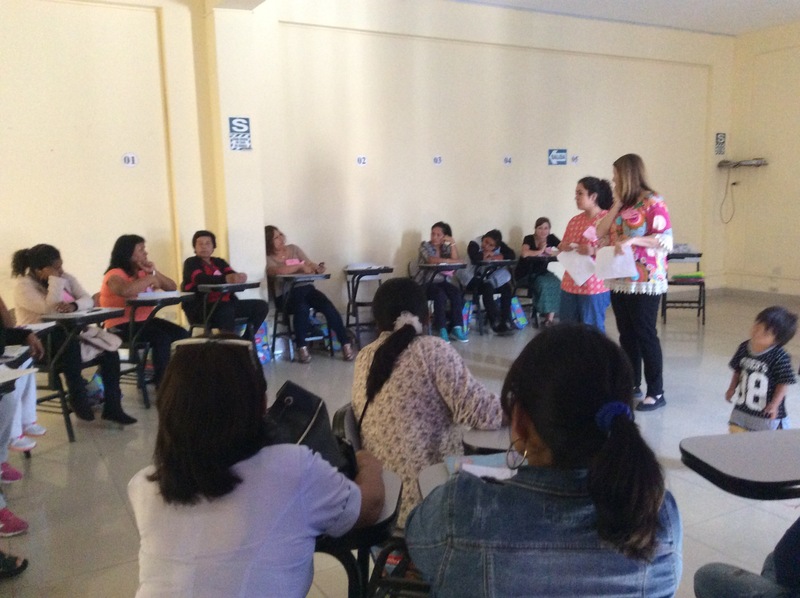 In January 2015, former Incarnate Word missionary, Tessa Cornally started the project of 6 workshops for early childhood educators of the preschool programs in Chimbote. Today was the sixth workshop. 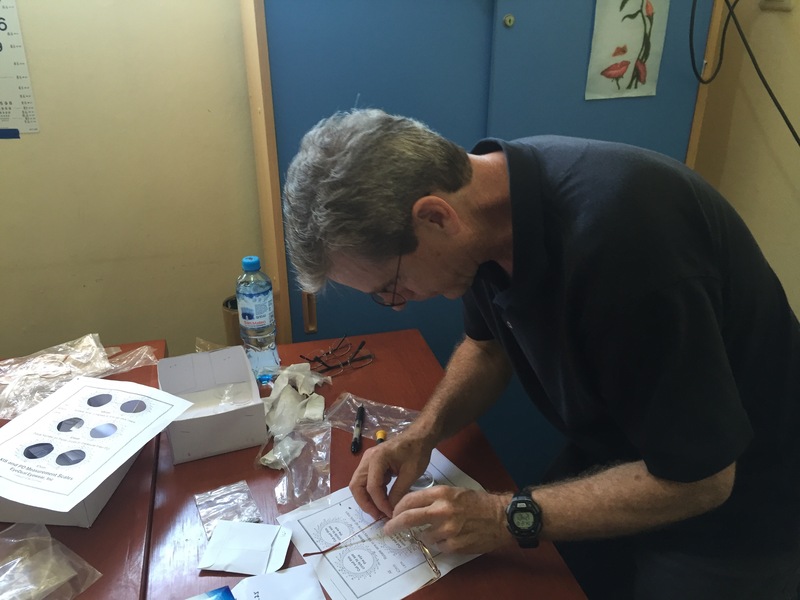 The project is now coordinated by present Incarnate Word missionary, Nicholena Vranicar. The day’s logistics were perfectly executed thanks to her. Nichole Foy stepped in and presented the workshop planned by our volunteer, Lynda Cavazos. She engaged everyone as they used their creative side to discover new activities for young children. Poems were written and sculptures were built. Nicole was assisted by Yolanda Martinez as her translator. Yolanda has spent the past two days translating for healthcare purposes, today she talked about stories and dancing. She is quite the young professional. A second workshop was presented by Lisa Uribe. Participants learned about the benefits of self-directed learning. They left with 4 independent activities for their students. They also were given extra materials to create their own folder games and self checking activities. At the end of the day the group not only received a certificate, a teacher bag with tools but they also received a copy of the workshop manual. Nicholena coordinated and printed the manual containing the formats and handouts for all 6 workshops. The participants received it in Spanish. It was translated by our WGC friend Kim Kennedy. It will soon be on our website in Spanish and English. It was a fruitful ending to a wonderful year long project. We would like to thank Misean Cara for the grant which funded it and made it possible. Just a year after eye surgery to detach sun-damaged scar tissue from her left eye, Magaly Huamanchumo began to notice the familiar milky white sheen creeping again into her field of vision. 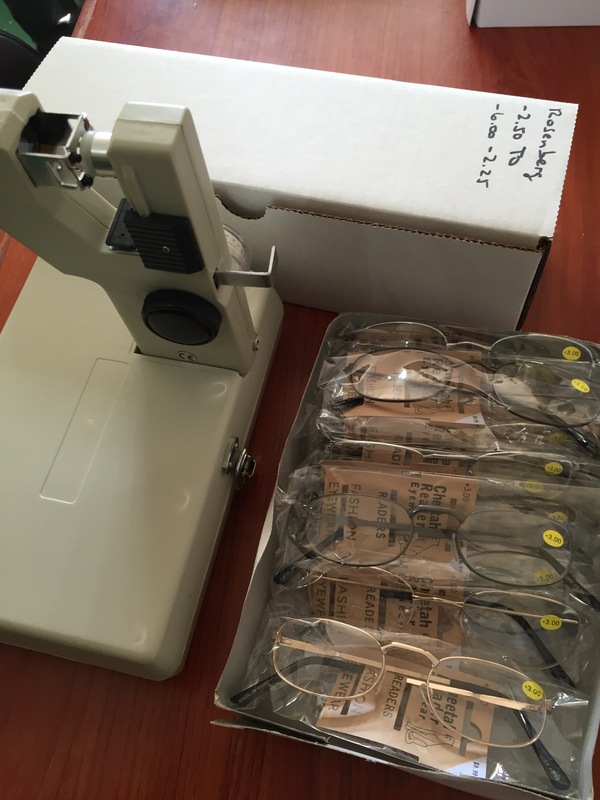 As a seamstress who is caring for her dying mother in an impoverished area of Chimbote, Peru, Magaly depends heavily on her eyesight. But daily demands and little-to-no income has meant she delayed getting her eyes checked for 14 years after first noticing the returning problems. On Thursday, that wait ended. 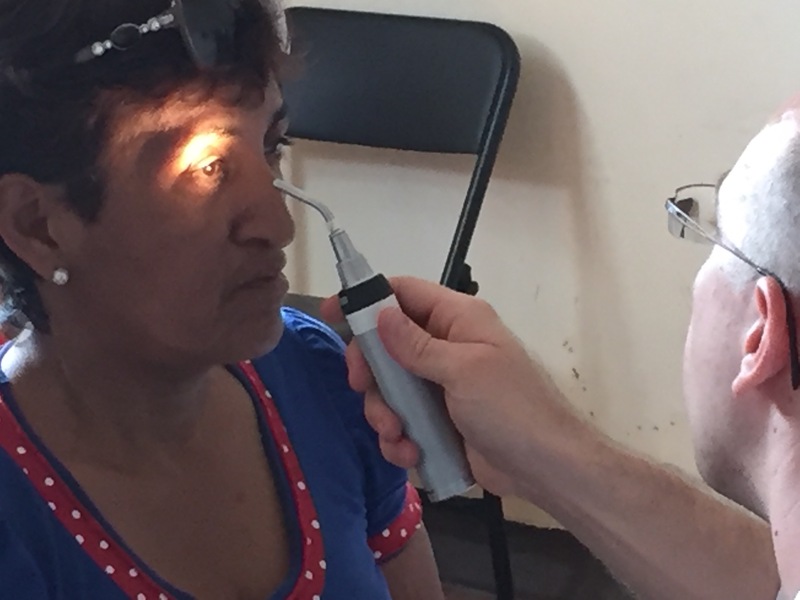 Magaly, 48, attended a free, University of Incarnate Word-sponsored eye clinic and received a full workup that identified returning scar tissue, as well as cataracts in both eyes. She left with new glasses and a referral for where and how to get free cataract surgery once she applies for low-income, government-sponsored health care. 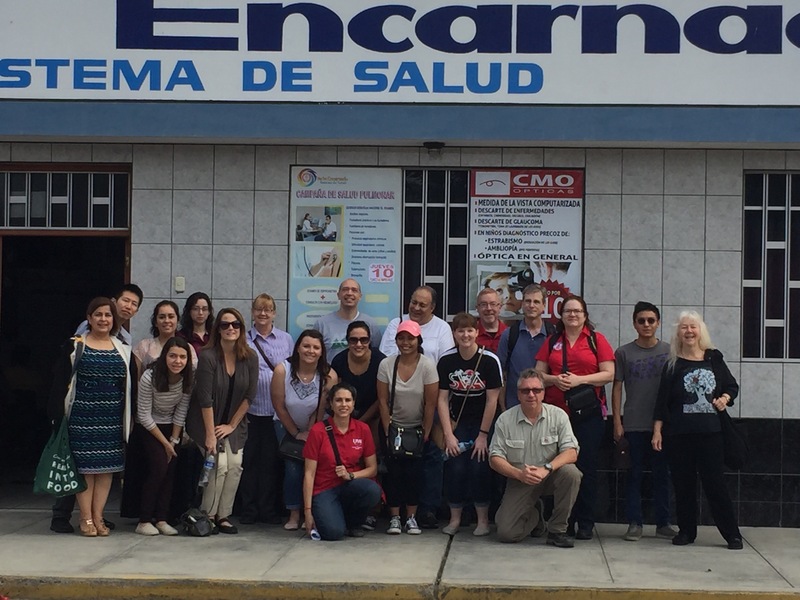 Those running the clinic at the Verbo Encarnado (Incarnate Word) Health System here are part of a Women’s Global Connection / UIW Ettling Center for Community Engagement / CCVI joint immersion trip from San Antonio to Peru. Magaly was one of 100 patients – young and old – seen Thursday by UIW students and faculty in the fields of optometry, pharmacy and nutrition. WGC volunteers provided support services. Over the next several days, up to 400 eye patients are expected to be cared for as part of the multi-day vision fair. 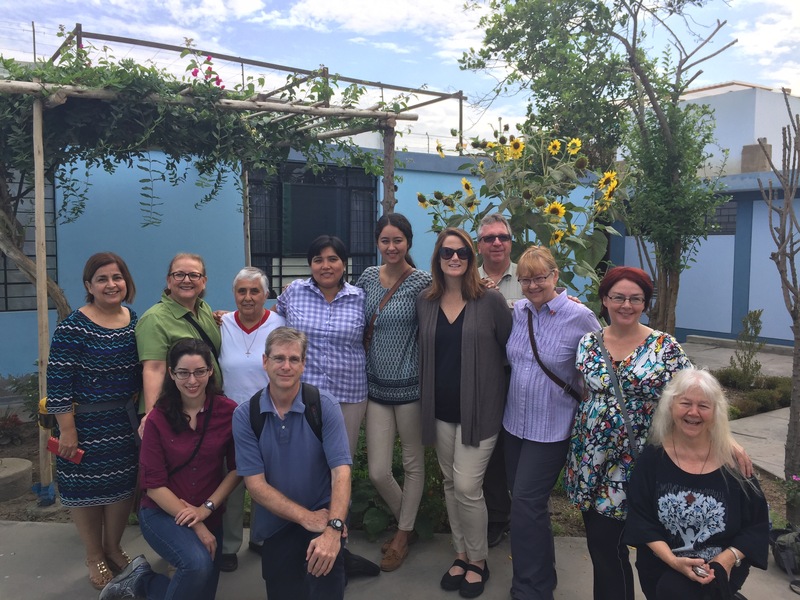 The Sisters of Charity of the Incarnate Word established a presence in Chimbote over 50 years ago when six sisters arrived to serve those suffering from extreme poverty and political oppression. Formerly a bustling fishing port, Chimbote has been ravaged by decades of economic problems and surges in population. The developing-but-modern city center is today surrounded by sprawling woven-reed shacks built on a barren, sandy landscape. Chimbote today is one of Peru’s poorest and most contaminated cities, with fish factories pumping toxins into the air, soil and water. 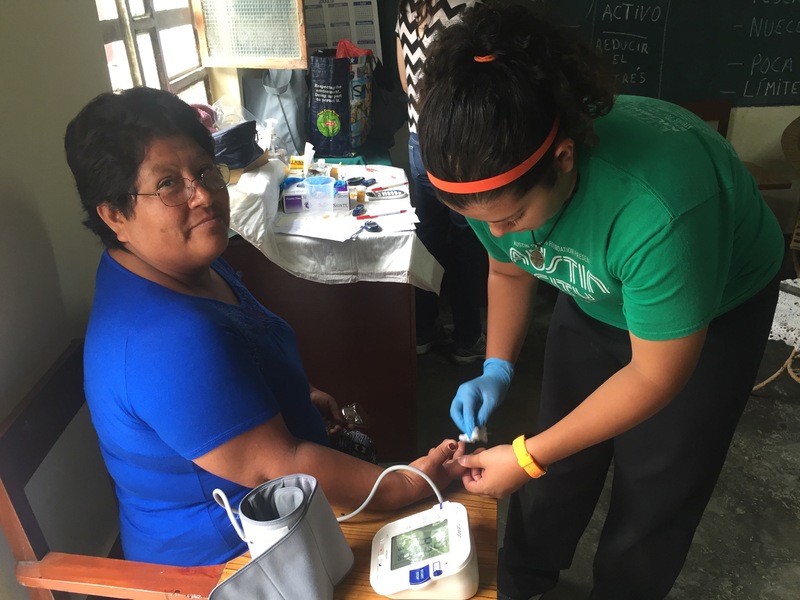 To try and counteract some of those health effects, WGC has had a longtime partnership with the “Sembrando Infancia” nutritional and development project working to improve the health of mothers and their young children under age 5. The program, supported in part by the Christus Foundation, also is part of the Verbo Encarnado System. 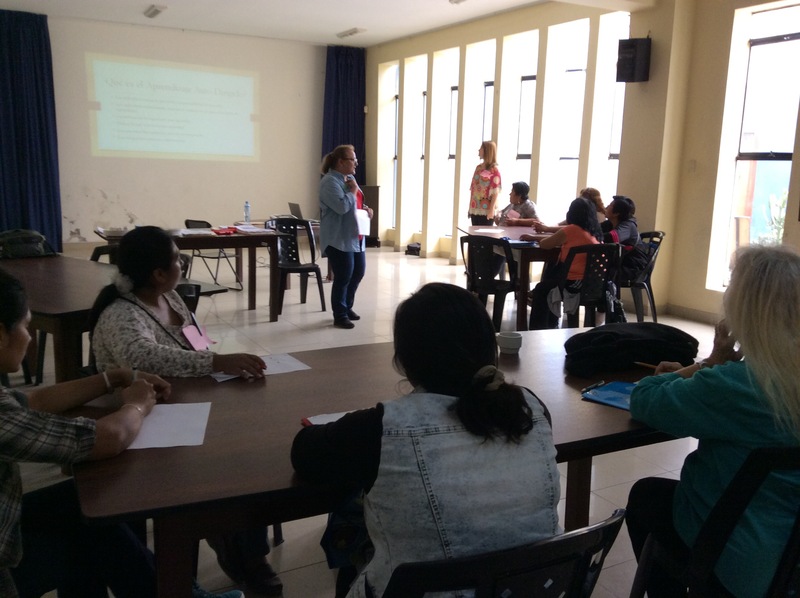 WGC staff and volunteers conduct early childhood education and teacher training workshops, as well as provide some direct funding for preschool health and education projects. On Thursday, Julia Vega, general director of the Verbo Encarnado System, met with representatives from WGC and the UIW Nutrition Department about a possible new research and evaluation project that could help improve treatment and prevention of malnutrition within the poorest zones around Chimbote where electricity and running water are nonexistent. Dr. Beth Senne-Duff, a UIW associate professor of nutrition traveling as a WGC volunteer advisor, is investigating whether faculty and students can begin collaborating soon. Verbo Encarnado also is in discussions with Dr. Renee Bellanger, of the Feik School of Pharmacy on potential future collaborations. Please stay tuned for more updates on this meaningful cross-cultural trip! We have an amazing group this time on the Peru Immersion Trip — 21 people from San Antonio! And the thread connecting us all is the Verbo Encarnado – the Incarnate Word – God becoming fully human, compelling us all to promote human dignity, especially among the most vulnerable. This is our shared mission for the next 10 days. 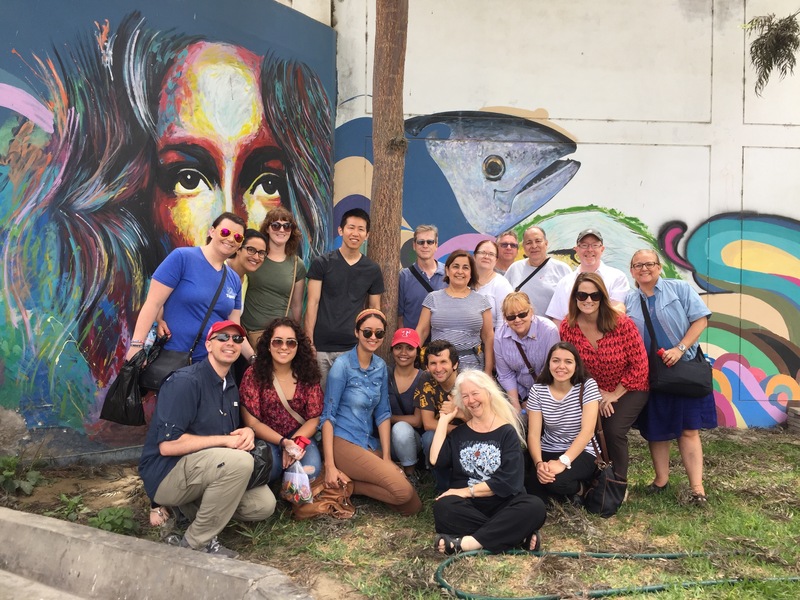 Participants on the trip hail from a variety of groups: Women’s Global Connection, the CCVI sisters, the Ettling Center for Community Engagement, as well as University of the Incarnate Word faculty and students from Optometry, Business, and Pharmacy and Nutrition. Sister Martha Ann Kirk, CCVI, has been a guiding force for keeping our big group focused in on the rich history of people and places where we are visiting and serving. The Sisters have been in Peru now for over 50 years making God’s love real! If you’ve ever traveled with Sr. Martha Ann, you know there is lots of “circling up” (in the airport, in parking lots, etc.) for shared perspective, theology lessons, and mandatory fellowship that she gently encourages. 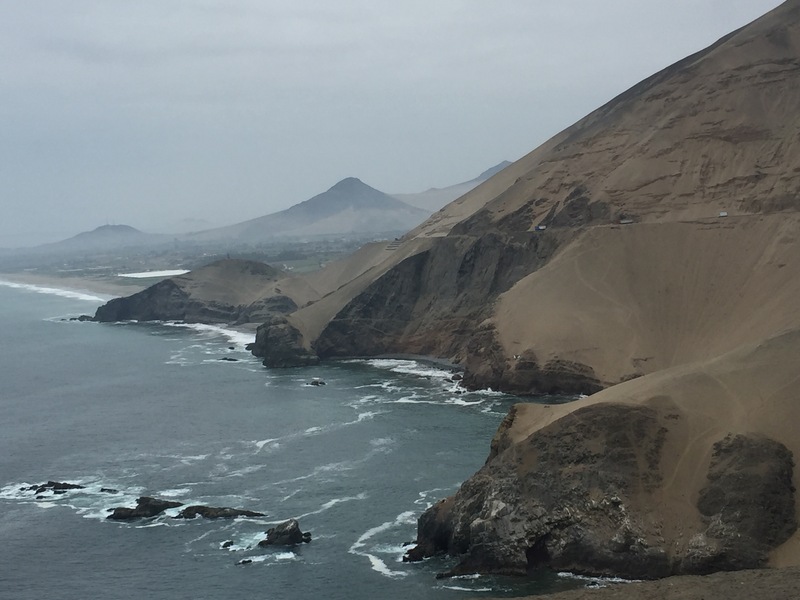 After a bit of delay at the Lima airport over how to admit auto-refractors and retina scopes through customs for the optometry clinics to be held, our group boarded buses for the 8-hour ride north along the coast to Chimbote, a fishing town of about 300,000. We were so excited to be greeted by Incarnate Word Missionaries in Chimbote: Kristen Amaro, Nicholena Vranicar and Yvonne Moynihan! And Srs. Mirella, Leonela, and Martha Ann led us in a welcoming ceremony in the garden adjacent to the Clinica Santa Clara, a medical clinic partnered with Christus and under the Incarnate Word Health System here that serves disadvantaged patients regardless of their ability to pay. 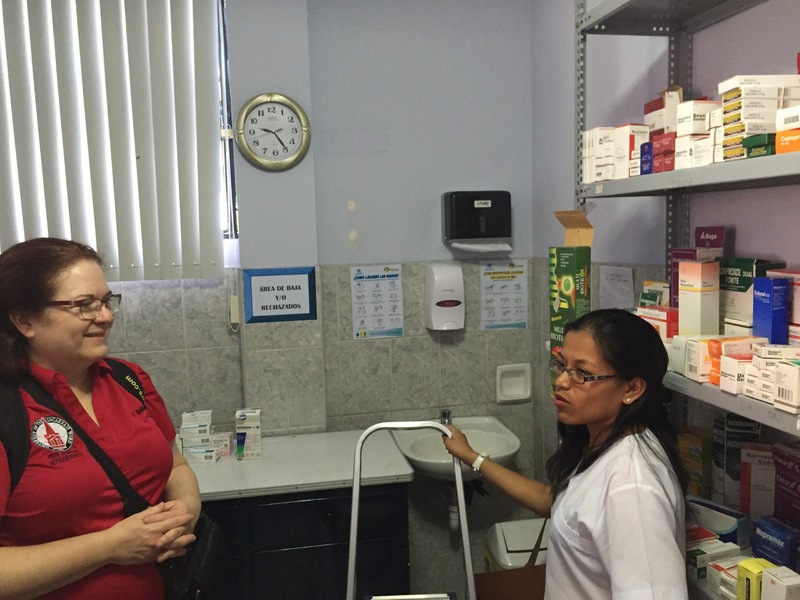 We then toured the System’s hospice, which is the only such end-of-life facility in all of Latin America, explained Sr. Mirella, who oversees it. The center is helping to educate many in the region about the quality care that can accompany hospice patients facing near death. 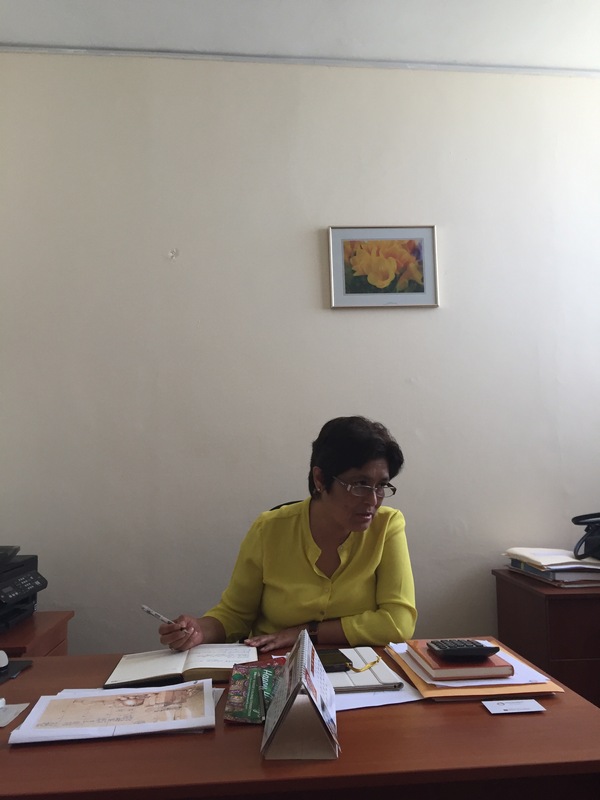 Dying can be a taboo topic in Peru, Sr. Mirella explained, and as a result, many patients outside hospice care are not able to experience death with dignity. At the hospice, we also noticed the touching artwork and poetry of Sr. Juanita Albracht, who began the hospice and served there until her recent return to San Antonio. Sr. Juanita, true to form, left beauty and an amazing legacy behind. Another shot of the whole, wonderful group!